There are a number of artists by this name: 1. Numskull (Garrick Demond Husbands) born 31. January 1971 in Oakland, California. He is half of the Oakland duo The Luniz. At 18 years old he got his first big break in the industry, by appearing on Dru Down's Fools From the Streets LP. A video was shot for the anthem "Ice Cream Man", and the result was a major deal with Sony for Dru Down and a major deal with Virgin for the Luniz. 1. Numskull (Garrick Demond Husbands) born 31. January 1971 in Oakland, California. He is half of the Oakland duo The Luniz. At 18 years old he got his first big break in the industry, by appearing on Dru Down's Fools From the Streets LP. 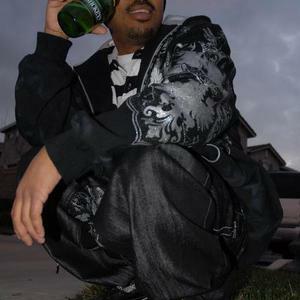 A video was shot for the anthem "Ice Cream Man", and the result was a major deal with Sony for Dru Down and a major deal with Virgin for the Luniz. In 1995, The Luniz released their first album "Operation Stackola". It would go on to be certified platinum internationally thanks to the anthem "I Got 5 On It", which received multinational platinum awards in addition to the album it stemmed from. 2. Num Skull, one of the first Midwest thrash bands, was originally formed in 1985. They released their first demo "Nums the Word" in 1987. The following year marked a change to a more extreme and heavier sound as exhibited on the band's second demo "Thrash to the Bone". The new material was much faster and the vocals were far heavier. This new style created quite a buzz in the underground and it soon led to a contract with Enigma Records. Later in 1988 Num Skull recorded their debut album, "Ritually Abused". The album contains 12 tracks consisting of extremely catchy riffs and dark lyrics. Although well received by the underground the album received virtually no promotion and backing from the label.